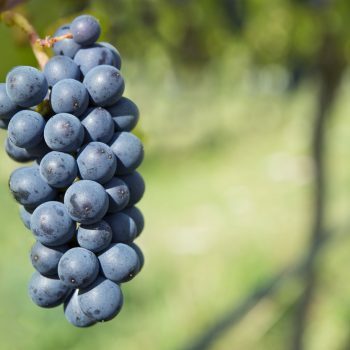 French wine scientists have engineered four new ‘supergrapes’, which have already been accepted into the official catalogue of French grape varieties, that are resistant to rot and require virtually no pesticides. Researchers embarked on a “breeding programme” called ResDur in 2000 to engineer a number of varieties that would be impervious to major fungal diseases, in support French winemakers’ efforts to reduce the use of pesticides. 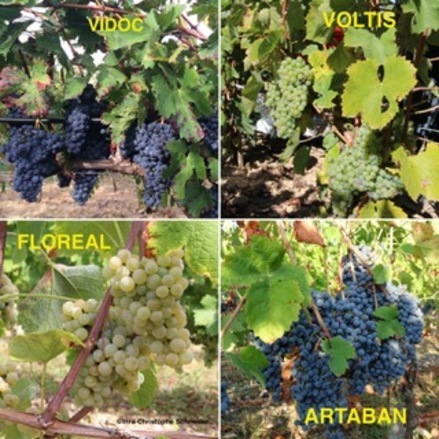 Called Artaban, Vidoc (red), Floreal, and Voltis (white), researchers claim the quartet of varieties will help pave the way for “efficient viticulture that is more respectful of the environment, by drastically reducing the use of plant protection products”. Each variety has been created by breeding select European vitis vinifera vines, which lack resistance to fungal disease, with specific molecular markers obtained from different strains of American vitis rotundifolia and vitis rupestris vines, as well as Asiatic wild wines, all of which carry natural resistance to fungal diseases. The new varieties are the result of nearly 20 years of research and thousands of vines, which were initially sorted and isolated according to their characteristics of resistance. Explaining, the team said: “This cross-breeding strategy, which is specific to the Inra-ResDur program, made it possible to combine two downy mildew resistance genes and two powdery mildew resistance genes, originating, on the one hand, from the species Vitis rotundifolia and, on the other hand, a group of species dominated by Vitis rupestris. It has led to the creation of four new varieties, two red and two white, imbued with natural resistance to mildew and powdery mildew, that carry an organoleptic quality that is “equivalent to that of traditional grape varieties”, according to the team. While the exact varieties used to create these varieties has not been stated, the team likens the productivity of each new variety to Chardonnay and Grenache. In April, the team completed its first planting of these varieties on its Bergheim experimental estate in Colmar with the aim of researching the potential of these varieties. This week, the team was given authorisation to produce wines from the four new varieties, with the first wines expected to be bottled from 2020. 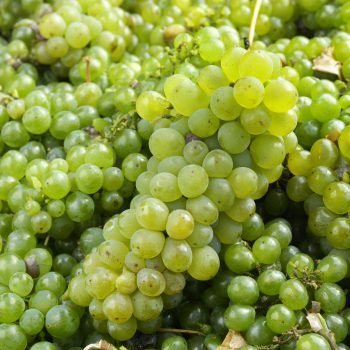 “The resistant varieties developed by INRA and its partners are designed to be commercialised and deployed in all French winemaking regions between now and 2025,” the team said. Importantly, these aren’t hybrid grape varieties, or traditional crossings, but varieties that have been systematically bred to isolate molecular markers obtained from different strains of American vitis rotundifolia and vitis rupestris vines – a method unique of the ResDur programme – creating polygenic varieties. Explaining the team states: “INRA is constantly working on new resistance traits in wild-type vines so that they can be introduced into cultivated varieties by means of Marker-Assisted Selection (MAS): the acquisition of new knowledge on resistance genes has now made it possible to create new resistant genotypes for inclusion in emblematic wine grape varieties. In comparison, hybrid varieties are created from two different species of vitis, (vitis vinifera x vitis rupestris), in order to acquire a desirable attribute of each. For example, when Europeans settled in northern America, they found that vitis vinifera vines imported from Europe were not resistant to disease like American vines were, but which were less palatable. This led to the creation of the first hybrid grape varieties, with the practice growing into the late 19th century with the spread of downy and powdery mildew and phylloxera to Europe. Rondo and Regent are both examples of hybrid grape varieties. Rondo was created in 1964 by Professor Vilém Krausin by crossing the varieties the already hybridised Zarya Severa and St. Laurent. Regent was created in 1967 by Professor Gerhardt Alleweldt by crossing the Diana (itself a crossing of vitis vinifera Silvaner x Müller-Thurgau) with the hybrid variety Chambourcin. The use of hybrids in the production of quality wine was eventually outlawed in Europe in the 1950s, but their rootstocks are still used worldwide to combat the threat of disease. In comparison, a crossing is a variety produced from two vitis vinifera species, for example Pinotage, which is a crossing between Cinsault and Pinot Noir, affording winemakers the aromatic qualities of Pinot Noir, with the resistance to drought of Cinsault. Summing up the benefits of its new varieties, which are technically neither crossings or hybrids, the INRA concluded: “The polygenic resistance of these varieties represents an efficient lever to reduce operating costs regarding the use of plant health products (96% reduction in the frequency of treatments with fungicides, herbicides and insecticides). “Artificial and unnatural ‘Frankenstein wine'”. While the benefits of these new varieties seem promising, especially in damp, cool and humid winemaking regions prone to disease where reducing the use of harmful pesticides is more difficult, their use in the production of quality wine has been criticised. Speaking to The Telegraph, Thomas Dormegnies, a winemaker and researcher from Vendée, western France, criticised the varieties as being responsible for what he calls “artificial and unnatural ‘Frankenstein wine'”. “Grape varieties in Europe have been developed by monks over centuries to suit the local soil. That is a wonderful heritage,” he said. “This is like crossing a monkey with and a man: it may be technically possible but it goes against nature,” he said. He warned for caution in attempting to compete with Spain, where climactic conditions lend themselves more readily to the production of big volume, inexpensive wines,. By trying to compete, producers risked a “race to the bottom towards industrial winemaking” seeking to rival cheap plonk from Spain, he said. Laurent Audeguin of the French Institute of Vine and Wine, was more optimistic, stating that its was far too early to judge at this stage. “We’ll see in which vineyards these varieties adapt the best and give the best results. It takes decades to assess a grape variety’s true worth,” he said.